Our security items serve as deterrents to would-be thieves and robbers. 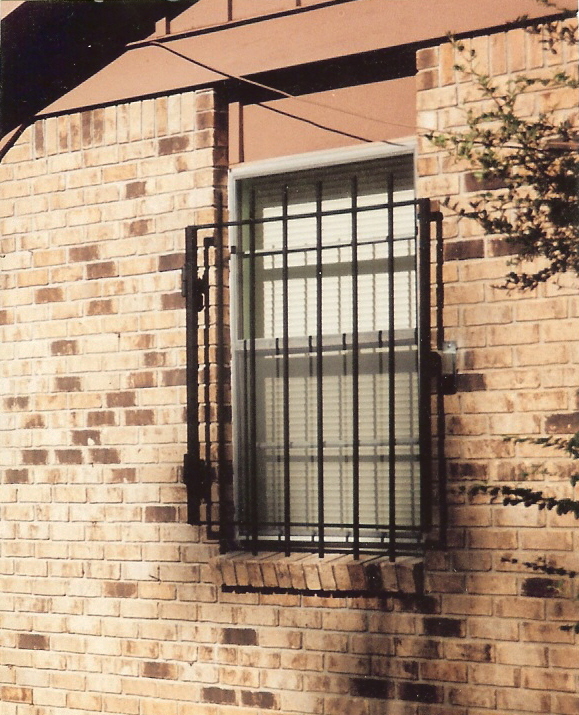 While absolute protection against intruders is impossible, bars on the windows and doors make it very uninviting to those who would break in your home or business. Following is several of the projects we've installed. Security doesn't have to detract from the look of the home. The rusty security windows on the door at left were just what the home owners wanted for their decor. The internet cafe on the right wanted security without looking like a jail. The home is located in rural southern Arkansas. The owner travels extensively, and lives alone, so he wanted as much protection as possible. These units include a metal mesh inside the structure to prevent access to the glass by any object larger than a finger. Doors present a special challenge. 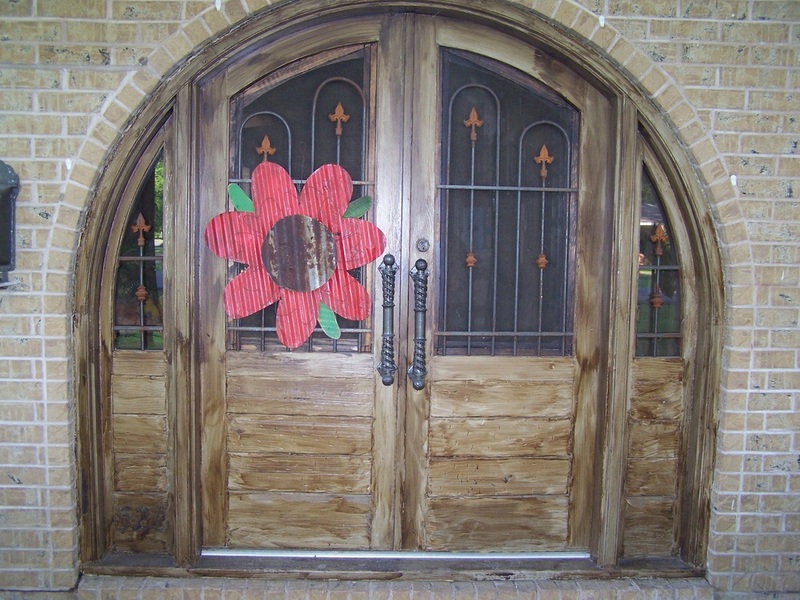 Whether sliding or hinged, we can make a door to fit. Also, bedrooms get a pivoting unit, activated from the inside, allowing egress during an emergency. The mechanism should be tested at least once per year, and as such we mount warning labels where necessary.